When you commit to blogging, you really have commit to it. I always tell new bloggers they should (at the very least) be blogging three times a week. I love to compare blogging to a reality show. People tune into a TV show once a week because they’re committed to the story and invested in the characters. In a way, it’s exactly like a blog. Once you start to share your life, your advice or your voice, you gain an audience. The more you write, the more people will keep coming back. Simple enough, right? Well, it’s not always that easy. When you’re blogging on your own, unless you’re being hired to write three times a week, it’s easy to get distracted and not keep up with a regular schedule. Not to mention, when you’re first starting out, companies and brands may not want to work with you yet because your traffic isn’t where they need it to be for an investment. Many factors can come into play, and it can get a little overwhelming at first. My advice when this happens — partner up with other bloggers. There’s power in numbers, not only for potential compensated work but for additional great content on your blog. I’m a huge advocate in finding other bloggers to work with. I’m actually a walking testament to the power of it. It’s true: Companies and brands always ask for your numbers. The more traffic you have, the better off you are for potential campaigns. When I started out, my traffic was a beginner’s traffic — very low. I partnered up with four other bloggers (also just starting out), and we started pitching companies ideas for campaigns collectively. All of a sudden, my traffic quadrupled! When you’re working with other bloggers on campaigns or you’ve decided to start a blog with multiple people (as in my case with MomGenerations.com), it’s great to have that accountability piece. People are counting on you to deliver content regularly, and you simply don’t want to let them down. When you partner up on projects with other bloggers or work together in some capacity with them, your audience instantly grows. 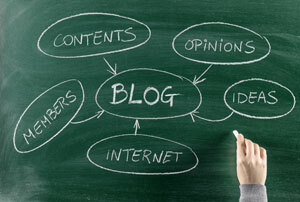 Each blogger has their own blogging, Twitter, Facebook, Pinterest, YouTube, etc., audience that they bring into play. Believe me, the more exposure you’re getting to new audiences, the better. When there’s more than one person brainstorming and coming up with potential campaigns and ideas, you’re apt to get bigger and better ideas. There’s nothing like hopping on a call or email with blogging friends and flushing out some potential ideas for brands/companies. The creative juices just start pumping!